Amarachi Ubani is a Reporter and Presenter with Channels Television. these courses she studied has helped Amarachi Ubani develop a more analytical approach to major international stories and discussions in diplomatic circles. 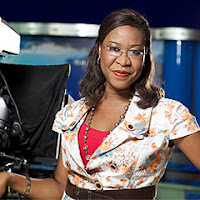 Amarachi Ubani joined Channels Television in 2007, as a reporter/presenter. She has however grown to become the station’s foreign affairs correspondent, overseeing the daily international news programme,’The World Today’ and ‘Diplomatic Channel’, which discusses major developments on the foreign scene. Some of her assignments have included covering the historic presidential elections in the U.S. in 2008, the African Union summits and post-election situation in Cote d’Ivoire in early 2011. She enjoys being in the mix of news reporting and presenting and also has as her hobbies travelling and reading. Biography of Ibrahim Mustafa Magu, Acting Chairman EFCC.